IMwalleT supports all prepaid recharges in India. You can recharge Airtel, Idea, Vodafone, Jio, BSNL, MTNL, Telenor, Docomo. IMwalleT provide all Direct to Home recharge services gives you uninterrupted entertainment. IMwalleT has all the Dth operator in India gives you instant recharge so that you don't miss your favorite program either its dailysoap or Cricket. 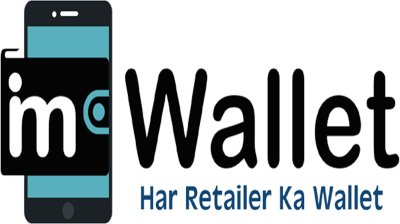 IMwalleT gives best opportunity to B2B retailers & distributors to recharge D2H from one single platform & earn high commission out of it. IMwalleT has partnered with all dealing telecom companies to provide you unmatched and seed recharge quality. You also start single sim recharge company with your own brand with us. Start Multi recharge company with same day with us. IMwalleT is brand name of Virtual Wallet Systems Private Limited. We makes transactions fast, convenient, reliable and accessible for businesses and consumers. Our solution is adaptable to everyone including businesses regardless of their size and structure.Our Mobile Recharge api and Money transfer api help you to earn more commission with your existing website or any app.API Includes Mobile Recharge API, DTH Recharge API, Data card Recharge API, Electricity Bill Payments API, Landline Bill Payments API, Gas Bill Payment API, Water Bill Payments API, Toll Road Bill Payment API, Flight Booking API, Bus Booking API and All digital payments API. Also We are providing Highest Commission on Recharge API and Lowest transaction charges on Money Transfer. A Fast, Secure and powerful portal can be accessible all over the world. SPEEDY PAYMENTS - We complete transactions with lightning speed - in less than a second of you completing the Transaction. AMAZING CUSTOMER SUPPORT - Need to speak with an actual person? Our customer support team is happy to help! WE’VE GOT YOU COVERED - We use state-of-the-art security so your transactions are always safe. Instant Recharge with Live Operator ID. No Debit for Failed Recharges. Auto reconciliation for Recharge Refunds.